Banklick Creek Watershed is a 58 square mile watershed in the Kenton and Boone County, Kentucky. The mainstem of the Banklick flows 19.2 miles northward, until it discharges into the Licking River, in Covington, Kentucky. It receives flows from several tributaries, or subwatersheds, such as Wolf Pen Branch, Brushy Fork, Flower Creek, and Bullock Pen. Banklick Creek and its tributaries flow through narrow farming valleys, industrial areas, and residential suburbs in the headwaters collecting a variety of pollutants along the way. Pollutants enter the waterways through runoff from development, failing septic systems, livestock and erosion of the stream bed. The Banklick Creek is also prone to flooding and has experienced extensive erosion along the mainstem several tributaries. Our goal is to improve and protect Banklick Creek and its many tributaries through a variety of projects. 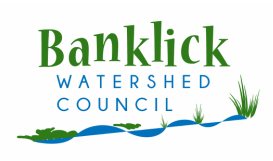 Learn more about these watershed projects, the Banklick Watershed itself, join us in the next Council meeting, or read through our Action Plan. Get involved and help us improve our waterways for safer water and swimming conditions. What is a watershed? A watershed is an area of land that drains to a particular stream, river, or lake. It can also be called a drainage basin or catchment. Watersheds are separated by ridges and hills that are called divides. A watershed consists of surface water--lakes, streams, reservoirs, and wetlands--and all the underlying ground water. Why is it important? Healthy watersheds are important because they provide habitat for plants and animals, recreational opportunities, drinking water, and aesthetic beauty for our communities. Why approach clean water efforts via a watershed area? Streams don't know or care about political boundaries. By using the natural boundary of a watershed, issues concerning flooding, stormwater runoff, and water pollution is addressed from within the contributing area.